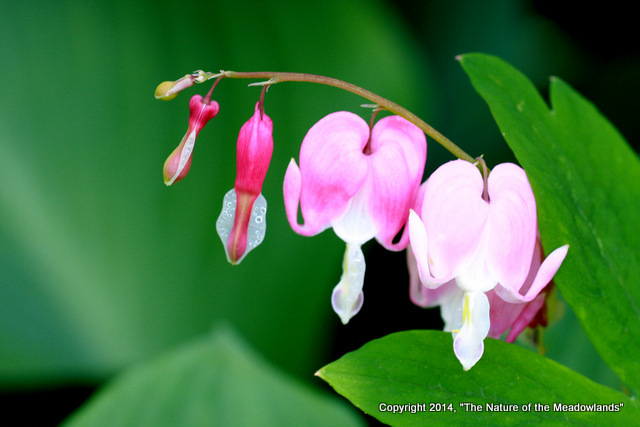 Friday is National Public Gardens Day, and the Bleeding Hearts and other flowers are in bloom at DeKorte Park. See for yourself! 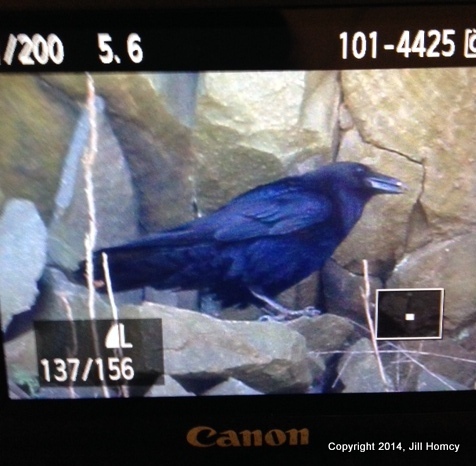 Jill Homcy writes that she stopped by Laurel Hill to check on the ravens at lunch on Monday and saw two birds outside on the cliff just below the nest branching and croaking up a storm. From what we can gather, the nest has failed this year but the ravens can still be seen nearby, despite the presence of a Peregrine. Tuesday and Wednesday after work we went to DeKorte Park to see what was going on. 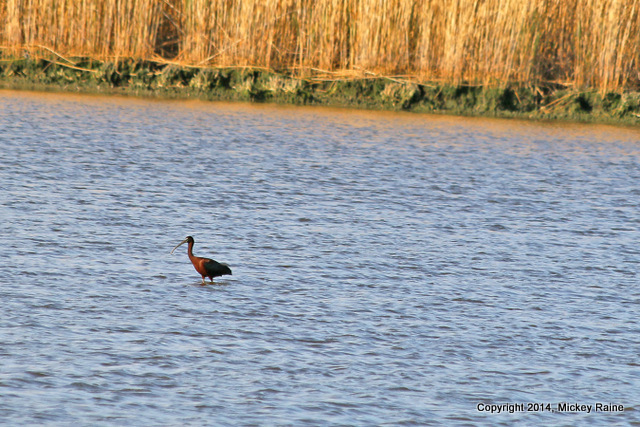 The Glossy Ibis was present amongst other birds, but at a great distance, so the photos are as much landscape as is a bird shot. 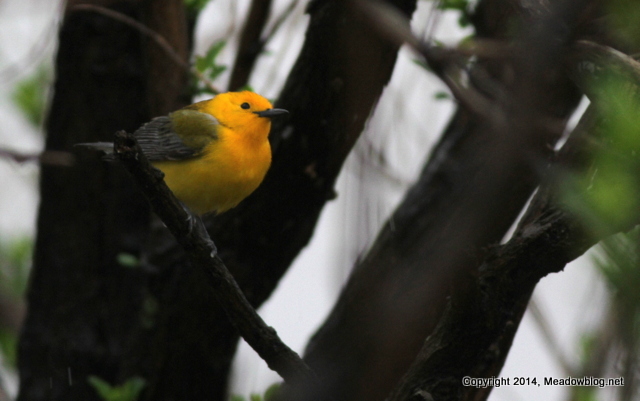 Found a Prothonotary Warbler at DeKorte today. 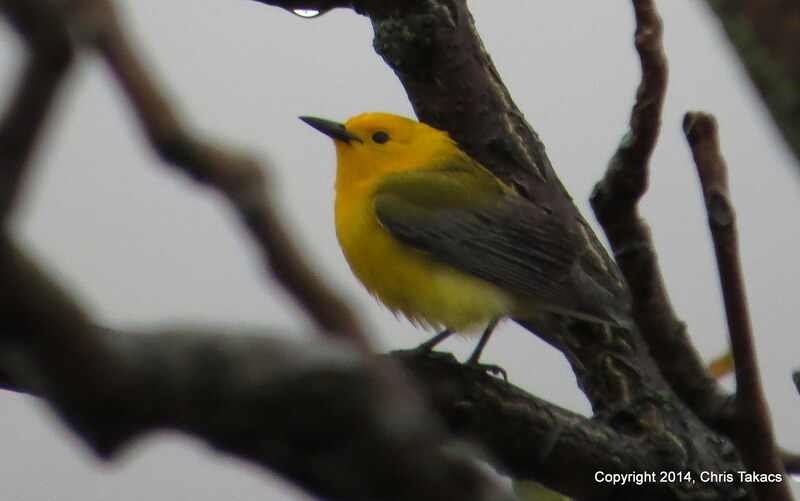 Last had it along Transco Trail by the weather station/interpretive sign. Also had 2 Bonaparte’s Gulls (non-breeding) sitting in the water by the boardwalk. A strange female Merg looked like a Red-breasted to me–but not 100% sure. 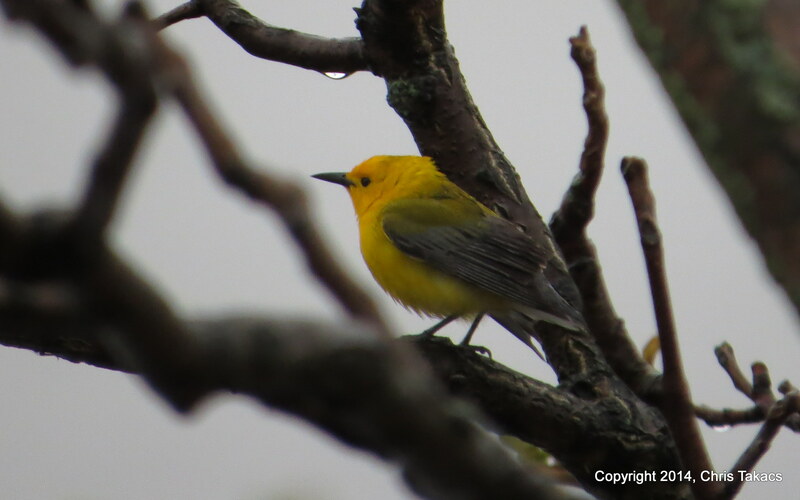 Note: Prothonotary still being seen as of 11:45 a.m.
Click Below and Help the Marsh Hawks! 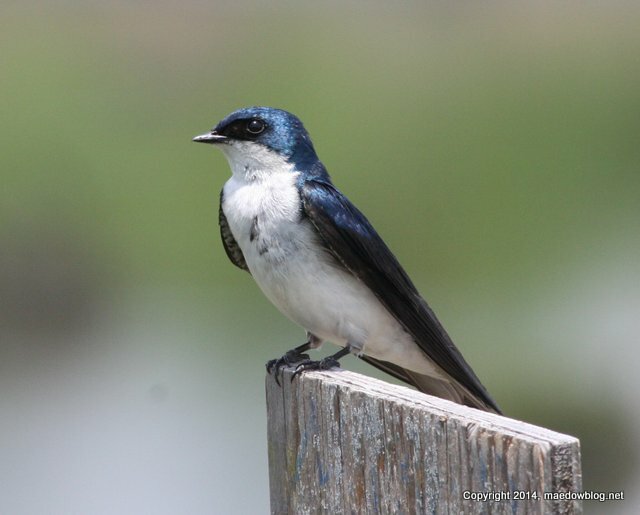 Tomorrow (Saturday is the Big Day for the Marsh Hawks! 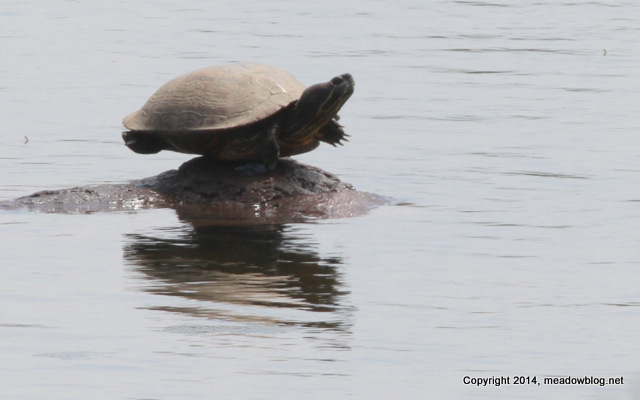 The Meadowlands Commission is pleased to announce a new “Yoga for Turtles” class, weekdays near the MEC.